KSRealityBites: Human brain decline begins at 40s! 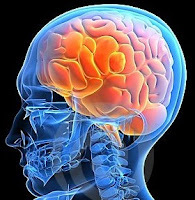 Human brain decline begins at 40s! According to a recent study, human brain begins to decline at the age of 45 affecting our memory & comprehension skills. However, the beginning of dementia can be delayed by living a healthy lifestyle. The researchers said that the reasoning & comprehension skills start deteriorated at 40's. The study published online by the British Medical Journal suggested that a healthy heart is good for the brain. In fact, the full dementia usually is seen at old age. But the current stressful lifestyle is responsible for decline of the brain much earlier than old age of 60. The study was conducted over 7000 civil servants between 1997 & 2007. The subjects were aged between 45 & 70. They were assessed three times on memory, vocabulary, aural & visual comprehension skills. The assessment showed that the cognitive scores declined in all categories & the faster decline was noticed in older people. 3.6% decline was recorded in mental reasoning in men aged 45 between 49, 9.6% decline in aged 65-70 & the decline was noticed in women categories were 3.6% & 7.4% respectively. However, the decline can be delayed if the lifestyle will be improved at the age of 40. People, who are suffering from risk of heart disease, can avoid such brain decline by following a healthy lifestyle! oops :) terrific piece !